Patties Foods' general manager of innovation Anand Surujpal is behind many of the company's brand activations in recent years, including the Four ’N Twenty Vegemite pie. 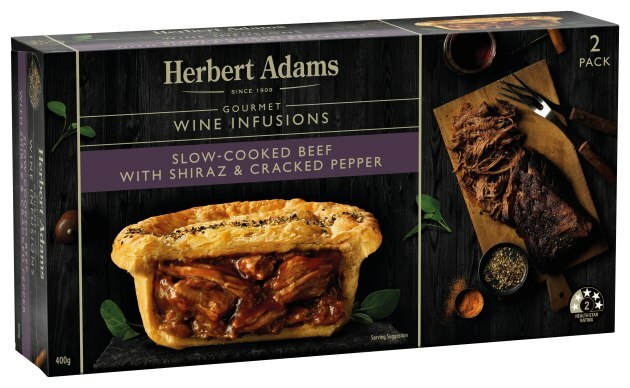 The Herbert Adams revitalisation, under the umbrella of Private Equity Partners (PEP), is expected to attract attention due to its gourmet appeal. Surujpal told Food & Drink Business three new flavours had just been released as part of a new, premium push for the company. 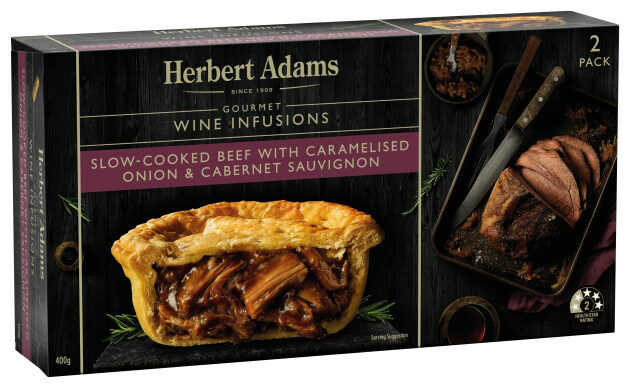 The new varieties are slow-cooked beef with caramelised onion and cabernet sauvignon; slow-cooked beef with shiraz and cracked pepper; and slow-cooked beef with portobello mushroom and merlot. Sold at Woolworths and Coles stores, the RRP for a two-pack of pies is $6.70. Patties asked family-owned, Victoria-based winery Andrew Peace Wines to come on board in the development of the product range. Surujpal says it was important to promote the product's provenance, and Andrew Peace's Swan Hill location ensured the wine offered a local flavour, along with the Australian beef and flour that is used in the pies. Apart from more premium branding, Patties wanted to celebrate Herbert Adams' 109-year heritage in its packaging and marketing. The 'wine pies' are designed to be served with a glass of wine – and offer “more of a meal” than traditional supermarket pies, Surujpal says. “The flavours of the wine infused in the pie, and the slow-cooked meat has fallen off the bone,” he says. “Consumers are looking for new and interesting flavours all the time, and they're wanting to indulge while keeping things in balance. With Herbert Adams, consumers often reference the “golden flaky pastry”, Surujpal says. He says there's lots more ahead in the handheld savoury category, with more campaigns that tap into demand for premium pastries.